NAVI MUMBAI: Supporting the campaign to scientifically recycle e-waste, Navi Mumbai Municipal Corporation has announced its plans to set up a Swachh Park to spread awareness about electronic waste that is being increasingly generated by the society. Participating in the first ever International E-waste Day (IWED) developed by the WEEE (World Electronic Electric Equipment) Forum, NMMC Commissioner Dr N Ramaswami said on Saturday that Navi Mumbai would seek to emerge as a model city handling electronic waste. 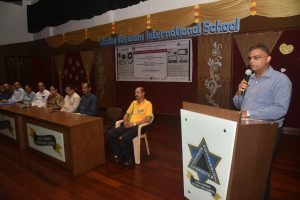 At an IWED event at Sadhu Vaswani International School at Sanpada, he appreciated the initiative taken by Navi Mumbai First Charitable Trust, Public Relations Council of India (PRCI) and Rotary Clubs of Navi Mumbai of district 3142, in spreading awareness about scientific disposal of e-waste. Navi Mumbai has achieved the distinction of being the second most livable city in the country and ranked among top-ten in Swachh Bharat Abhiyan. The Swachh Park will seek to create awareness about handling all kinds of wastes – dry, wet and electronic, he said. PRCI governing council chairman B N Kumar said his organization launched a pan-India social media campaign to spread awareness about recycling e-waste. “We also floated an online petition to the Prime Minister to aggressively include e-waste as part of the government’s Swachh Bharat drive,” he said and requested all to support it. Kumar expressed the happiness that NMMC is the only civic body in the country to participate in the first ever International E-waste Day as part of the WEEE drive. Navi Mumbai Mayor Jayawant Sutar, who launched the collection of e-waste in red bins at the school, said everyone must treat Navi Mumbai as ‘My City’. Only then initiatives such as e-waste collection would succeed, he said. Navi Mumbai First president Rajesh Prajapati said the city and the country are producing e-waste in alarming proportions. It is in the interest of all to plan and dispose it of scientifically. 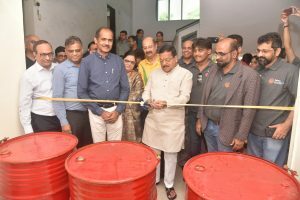 Rotary District Secretary Dr. Jaideep Sensharma said the thirteen Clubs under the International District 3142 have three initiatives – Tree Plantation, E-Waste and Solar Energy – as part of their ‘Save Nature’ initiative. The Clubs have organised ground events including collection of e-waste at designated points, he said. The material will later be handed over to government approved recyclers, according to Kedarnath Rao Ghorpade, avenue chair-save nature, Rotary District 3142. The Rotary Clubs will organise regular events till November 13, 2018 in association with NMMC under the guidance of Tushar Pawar, Deputy Municipal Commissioner, NMMC. According to WEEE, an estimated 50 million tonnes of e-waste will be generated globally in 2018. Half of this is personal devices such as computers, screens, smartphones, tablets and TVs, with the remainder being larger household appliances and heating and cooling equipment. In India, the scene is even worse and very alarming. Only 5% of the e-waste is recycled despite the government’s emphasis on Swachch Bharat Abhiyaan and Smart Cities project, India continues to be generating highest e-waste vis-à-vis China, USA, Japan and Germany, Kumar said quoting a recent study by ASSOCHAM-NEC. 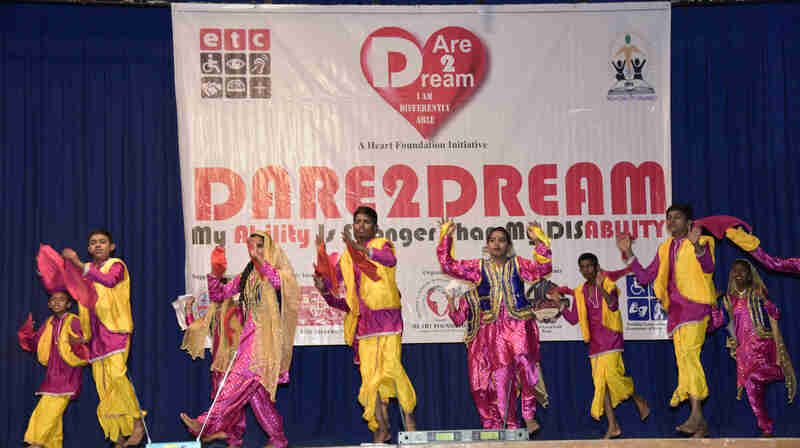 Sadhu Vaswani International School principal Mangala Chandrashekhar said involvement school children is very important to make the movement a success. Lots of e-waste such as computer screens, cords, keyboards, chargers, printers, bulbs and telephone instruments were placed in red bins placed at the school after the Mayor inaugurated the month-long campaign. She also mentioned that the school students had organised an E-Waste Rally to sensitive the community around the housing societies, in association with Rotary Club of Smart City. Jain Jagruti Mandal volunteers will help promote the ground activity in collecting e-waste from various housing societies.